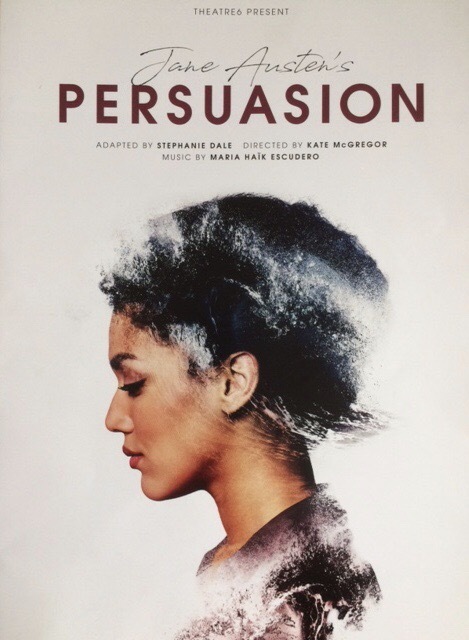 Persuasion is my favourite of Jane Austen’s novels. 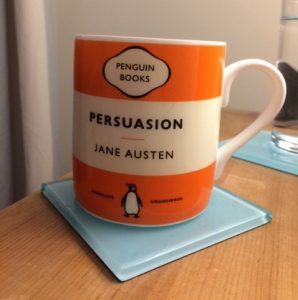 As I’ve got older, arrogant Mr Darcy has lost his appeal somewhat. Pride and Prejudice has been relegated to second place, although remains close to my heart (and I still want to be Elizabeth when I grow up). In later years I’ve turned to this posthumously published book. 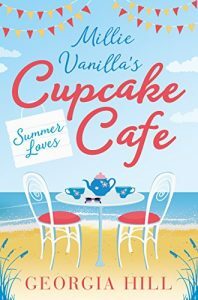 With its melancholic, tender romance, this autumnal story calls out to me. It helps that it’s partly set in Lyme Regis and ‘everyone is wild’ to see the town. And why wouldn’t they be? So, when Theatre6 brought a stage adaptation along, I jumped at the chance to see it. The company valiantly battled the Marine’s tiny stage and a small cast of six did their best to portray the vast army of characters in the original book. 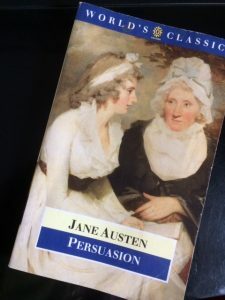 The actors were astonishingly talented and acted, sang, played a multitude of instruments and danced – well, you can’t have Austen without a bit of dancing, can you? The superficial and foppish Sir Walter was there, along with his daughters, the snobbish Elizabeth, the hypochondriac Mary and loyal, put upon Anne. Ah, Anne. ‘None so capable as Anne.’ A quieter heroine than Darcy’s Elizabeth but one you root for and feel her every suffering. 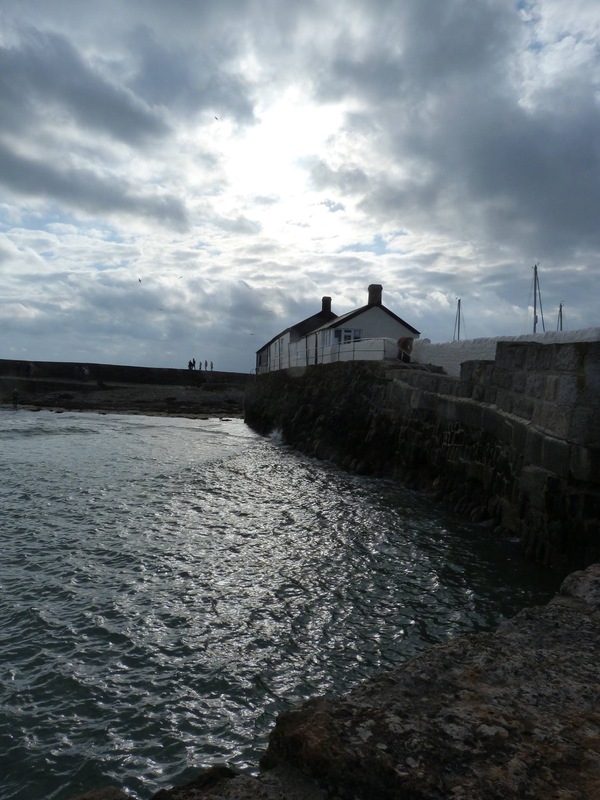 The Naval talk was there, with Mrs Croft defending a woman’s right to be at sea and the flirting and match making was also present. 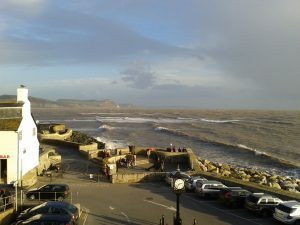 A touring company needs to travel light and the limited scenery served as Kellynch Hall, the delights of Bath and the Lyme Regis seaside. Props were equally sparse. Bath is notoriously rainy now and seemed to have been so in Regency Times too. Parasols doubled as umbrellas in the memorable scene in Molland’s, when Wentworth witnesses how solicitous her cousin is of Anne – and which can mean only one thing in Regency Society. Their use as wheels for a carriage worked less well. 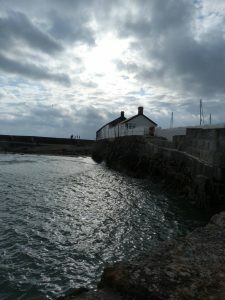 It bestowed an unwanted comic feel to the poignant scene when Anne and Wentworth return from Lyme. It should have been loaded with unspoken love and regret, full of a sense of them trying to reach out wordlessly to each other. Instead we were treated to parasol twirling and actors bumping their bottoms up and down. In parts, it was as successful as any screen adaptation and you couldn’t fault the effort made. It was moving and truly thrilling to hear Wentworth’s iconic words, ‘You pierce my soul,’ spoken in the town where much of the book is set and which has a close connection to the author. There was a lot of lovely music, beautifully played live but which didn’t add a great deal. It was sometimes difficult to differentiate which male character had come on stage as, necessarily, costume changes were minimal and there was little difference in characterisation. Production costs showed, in the bleak staging and limited costumes. Overall, although I enjoyed it, it didn’t totally work. It lacked the quietness of the novel, the subtlety, the tenderness and yearning. It’s back to the book for me, or maybe the classic BBC TV version. 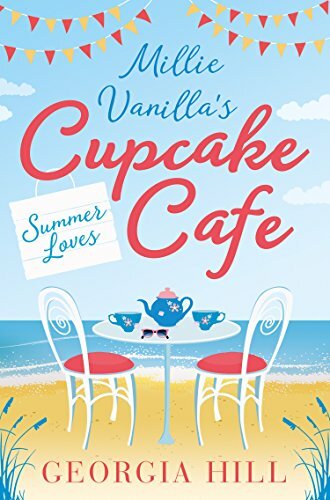 (PS If you want to read about another stage version of Persuasion being put on in a seaside theatre, uncannily similar to the Marine, try Summer Loves in the Millie Vanilla series).